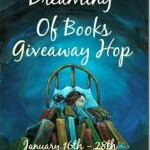 Winter is Coming Giveaway Hop – Escape Reality, Read Fiction! Welcome to the second annual Winter is Coming Giveaway Hop, hosted by The Kids Did It and The Mommy Island. Winter is really coming, even down here in Atlanta. It’s in the upper 60s as I type, but by the time you read this post the temperature will have dropped 20 degrees and a cold rain is supposed to be falling. My friends up in Anchorage probably think of that as a balmy day, but down here it’s time for everyone to get out all of their winter clothes that it is barely cold enough to wear. Hopefully your winter won’t be too frostbitten this year! No matter how cold it is, or not, there’s always time to curl up with a hot libation of your choice and a good book. I’m giving away the winner’s choice of a $10 Amazon Gift Card or a $10 Book from the Book Depository to help provide either the book or the libation. Fill out the rafflecopter for your chance at something to help you while away the cold winter months! I like to build snowmen with my grandsons. Nothing really except watching my dog play in the snow. I love baking in the winter and holiday get-togethers with family. Cozying up by the fireplace and reading a good book. We live in the desert so in the winter we love heading up to the high country for the snow. Our kids love sledding and playing in the snow. I love sledding!! My parents have a big hill in their backyard and I love sledding there because you don’t have to worry about other people. I look forward to playing in the snow with my family. Thanks for the chance to win! I’m looking forward to playing in the snow with my kids, then cozying up by the fire with some hot tea and a good book. Nothing more than watching the snow pile up on my deck :). And then listen to the hubs snowblow. Lots of shopping during the winter. I can’t wait for skiing trip. I love to build a snowman when we have enough snow. theres an annual event here called hte christmas revels and i love it! I love Christmas so putting up decorations and being with my family then is fun. i love decorating the house and tree. I look forward to sledding! It’s so much fun! I love skiing trip. thanks! I love looking at snow fall, but hate shoveling the stuff with a passion. So, my favorite winter activity is reading on the couch with a blanket, hot tea, and a cat. I look forward to ice skating all year! I love sitting on the couch by the Christmas tree watching holiday movies. I love all things winter, and one of my favorite things to do in the winter is to go snowboarding. Opening Christmas presents! Otherwise here in the South the winter is much like the rest of the year. Especially now with the global warming and all. I look forward to going tubing. In the winters I love to stay inside a read a book by the fire. I look forward to ice fishing. My favorite winter activity is a snow ball fight. My favorite winter weather activity is cross country skiing. Reading inside and sipping tea. Seeing all the holiday lights. I look forward to sledding all year! What’s the winter activity that you look forward to all the rest of the year? I look forward to baking lots of sweet treats! My favorite winter activity is shoveling snow. Everyone thinks I’m crazy but I love it. I look forward to building a snowman. Besides the holidays I look forward to building a snowman and/or snow fort. Lots of fun! snuggling under a blanket reading a good book! I look forward to all the holiday baking. I’m looking forward to reading, and baking cookies with my grandchildren. Christmas vacation and visiting family! I like to build snowmen in the wintertime. I love the whole idea getting ready for the Holidays. Decorating, baking and family get together and Christmas music. I look forward to seeing family on Christmas/Christmas Eve! Well, here in Phoenix I look forward to being able to get outside and hike. i really look forward to sled riding. I look forward to decorating for Christmas, and baking all the varieties of cookies and bars that I don’t make any other time of the year. I love staying under the blankets and feeling all snug and warm while watching Christmas movies. Reading a good book by the fire. I love filling the stocking at Christmas. Crawling under the blankets with a good book of course! My favorite thing to do is bake gingerbread cookies! All the Christmas festivities. Decorating, baking, eating.. I look forward to curling up on the couch under a throw with a good book or Netflix. I like to go snowmobiling. I look forward to seeing family at Christmas. I look forward to building snowmen! I like sledding and building snowmen. I love just having Christmas. I look forward to Christmas all year! I look forward to ice skating. I look forward to looking at Christmas lights during the Winter. Thanks for the giveaway! I am excited to go sledding with my kids. I look forward to the holiday movies. I hate cold weather so I look forward to staying in and reading. I love going sledding with my daughters! I look forward to wrapping up Christmas presents. I always try some new creative ways to do that. It doesn’t really ever snow here but we like to rent movies and drink hot tea or cocoa. We like to go hiking too with our dog. Staying inside on cold snowy days and reading a good book. I enjoy decorating with tinsel and fairy lights! I look forward to baking Christmas cookies. I look forward to snuggling with a warm blanket by the fire. I do not care for cold weather. I want to hibernate. I’m not a winter person- I want warm blankets and fuzzy socks. Waiting for those snow days with the kids, it is fun. 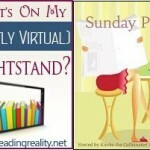 Pingback: The Sunday Post AKA What’s on my (Mostly Virtual) Nightstand 12-17-17 – Escape Reality, Read Fiction! Staying in and just watching the snow fall. Hopefully not on a day I need to go out in it. Holiday decorating is the only winter activity I look forward to. I look forward to making Christmas cookies! I look forward to my morning walks on the beach without the crowds. We live in Arizona so not too many winter activities going on. I am looking forward to watching the Winter Olympics on TV. I like hiking all year round. i look forward to drinking hot cocoa by the fire all year long. I love playing in the snow! I hope we get some snow this year. I love to go skating! Ummmm…..here in snowy WNY, I look forward to it ENDING! Preceeded by Jesus’ Birthday, that is. Thanks and God Bless! I look forward to playing hockey. I stay indoors catching up on my reading and we have the rare snowball fights. Hmm…probably baking cookies and watching certain movies, like Hallmark, etc. Going snow tubing with my kids! I look forward to drinking hot chocolate and watching movies. I wish it snowed here. I hate the heat (mainly the humidity), so I love when it’s cold and I can snuggle up in a blanket to keep warm. I like watching the snow fall. I’m in a secret Santa group online, and I really look forward to that. I always look forward to going sledding. I’m looking forward to ice skating! Not really an activity but I look forward to celebrating Christmas. I look forward to sledding. I look forward to enjoying a fire in the fireplace. I’m looking forward to driving up north to see the snow. My favorite winter activity is to catch up on sleep. Many nice long nights. I look forward to sledding with my children. I love to snuggle in my warm pjs and read or watch Netflix. I love all the Christmas lights this time of year. I look forward to seeing them. All year long I look forward to ice skating. I look forward to putting up the christmas tree.